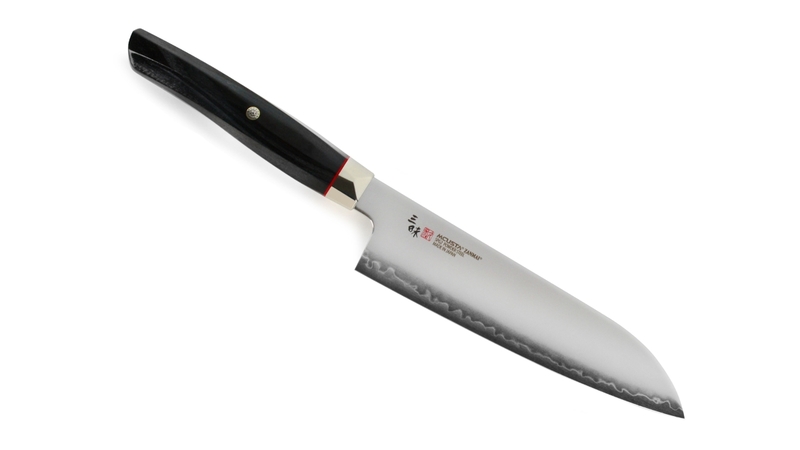 The Mcusta Zanmai Revolution SG2 Santoku Knife is designed to cut vegetables, fish and meat. 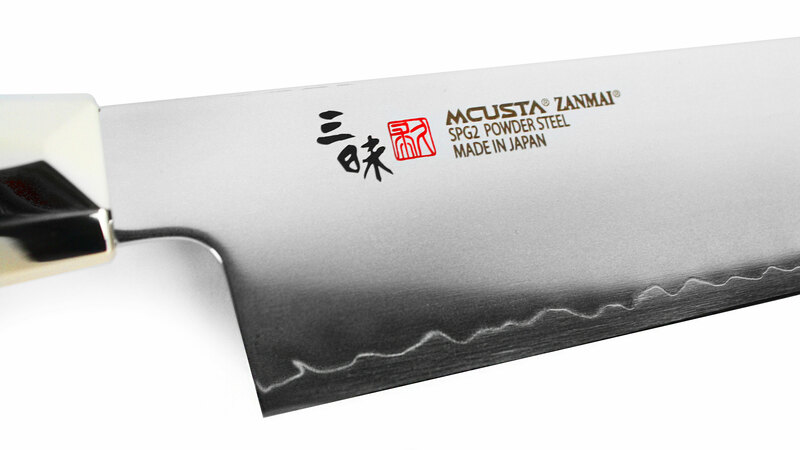 Mcusta Zanmai Revolution SG2 features a SG2 powder steel blade. 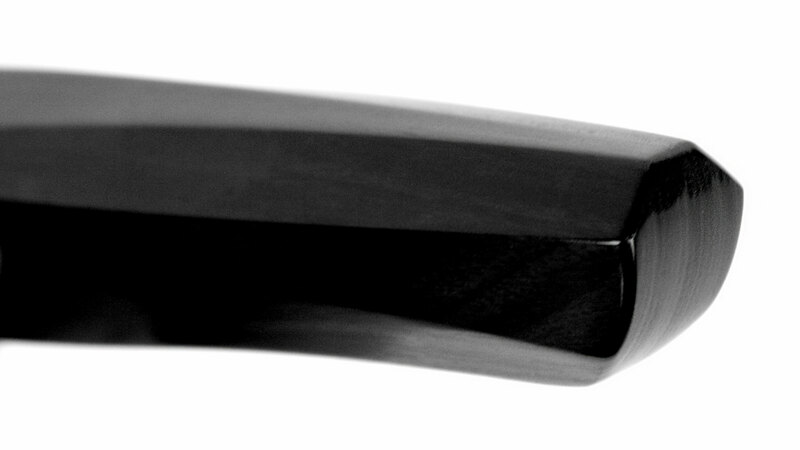 The 62° Rockwell blade displays hardness, toughness, and flexibility for ultimate sharpness and long lasting edge retention. 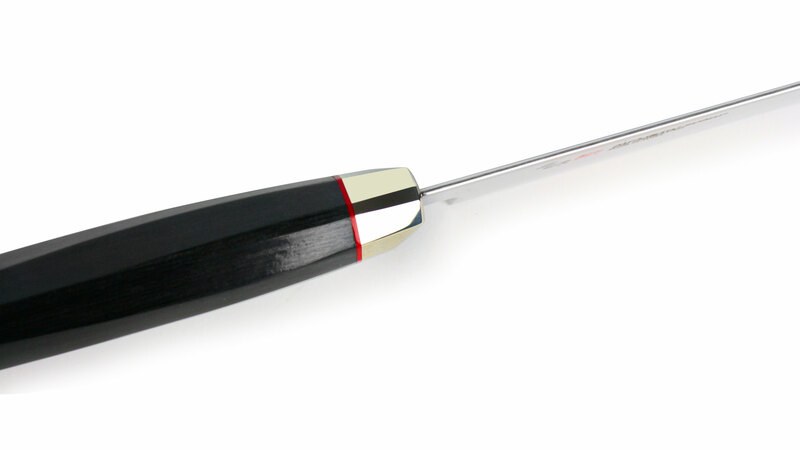 The 9-12° blade angle is finished in Zanmai's perfect Hamaguri 50/50 bevel form, making it incredibly sharp and the ideal structure to cut food effortlessly. 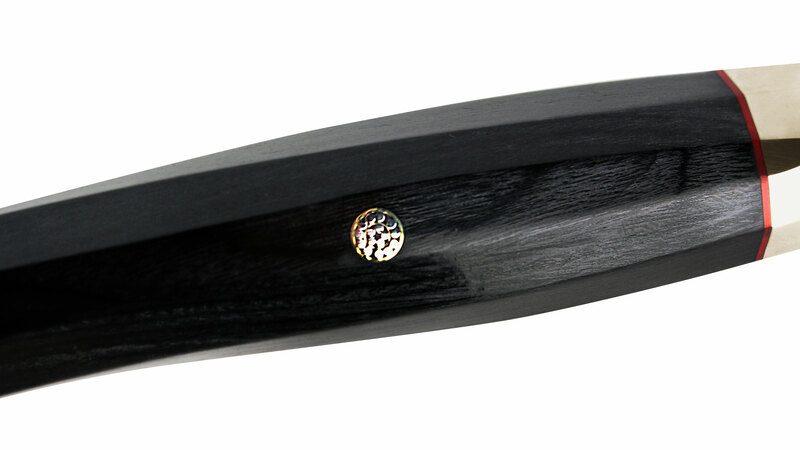 The pakkawood handle is accented with a red spacer and a traditional Japanese decorative pin. 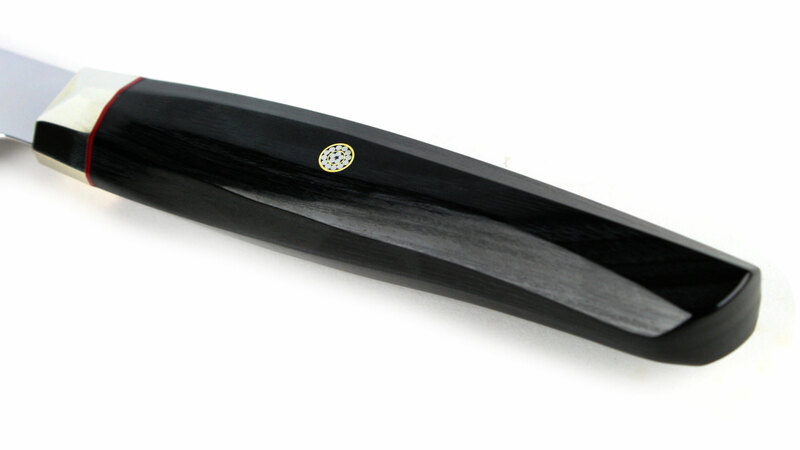 Handcrafted in Seki city, Japan.